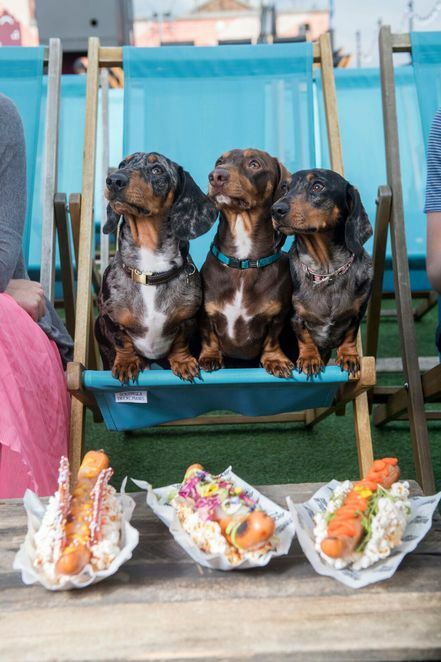 Hot Dogs... the quintessential British summertime dish. They can be grilled on the BBQ, picked up at IKEA or turned into over-indulgent, gourmet dishes. However you like your hot dogs, National Hot Dog Day on Sunday 23 July 2017 won't disappoint, with all the big names (and small ones!) in Hot Dog dining putting special effort in for the big day. 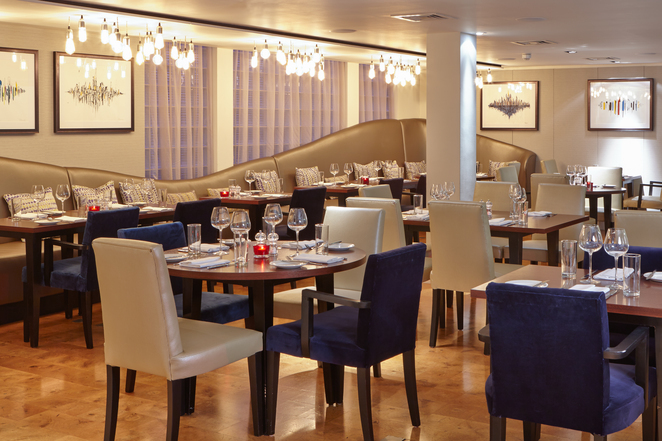 We've rounded up the top spots to hit up to honour the timeless dish. 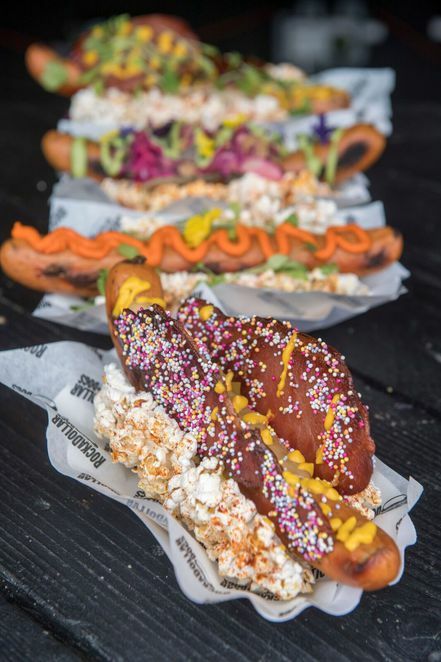 No more stale cinema popcorn, or lukewarm hot dogs - this is a classic frankfurter sausage on a bed of popcorn, allowing you to have the best of both worlds. Think hundreds and thousands maple bacon, a cheese and mustard hot dog, served on a bed of tomato sauce and a mustard flavoured popcorn bun. The Pop 'N' Dog is available until Sunday 23rd July at the Rooftop Film Club at the Bussey Building in Peckham (£10). 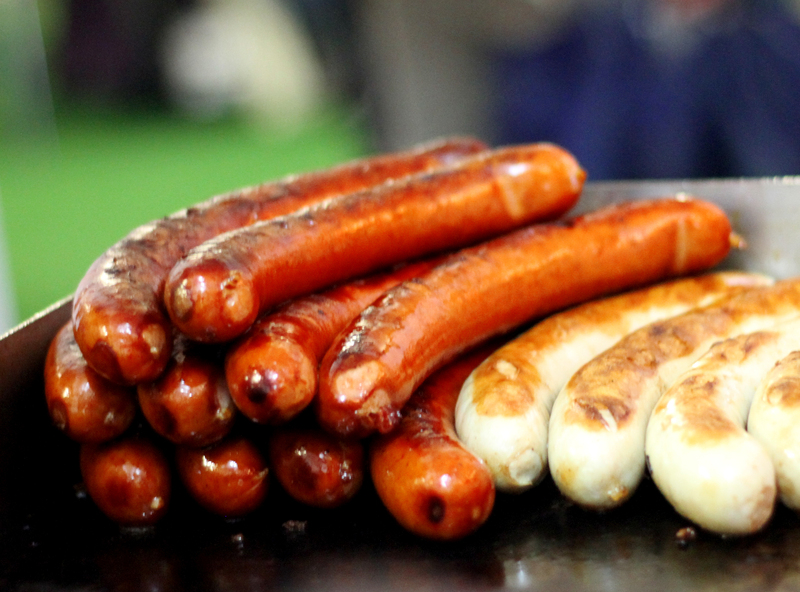 What would a day dedicated to sausages be without a shout out for the sausage kings and queens? Herman ze German's Bratwurst, Chilli Beef and Bockwurst are all sourced straight from The Black Forrest and are both gluten and lactose-free. 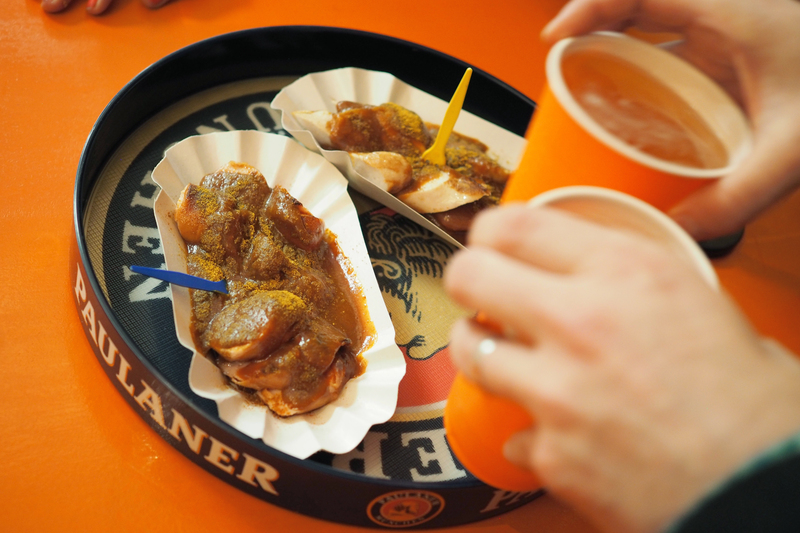 Herman's famous Currywurst and the Vegetarian Wurst also feature on the menu, alongside schnitzel dishes. All ze sausages are grilled and are topped with your choice of sauerkraut and crispy onions, and served with sides of potato salad and homemade coleslaw. The exciting news is that Herman ze German are now offering a brunch and breakfast menu (in Fitzrovia and Charing Cross branches), which means you can treat yourselves to a German sausage from dawn until dusk this National Hot Dog Day. Studio Kitchen, the restaurant at K West Hotel & Spa, has enjoyed past fame for its iconic creations: The Crème Egg Burger, the Daim Dog, and the Absolutely Crabulous Burger. The newest addition to the hall of fame is The Burdog. 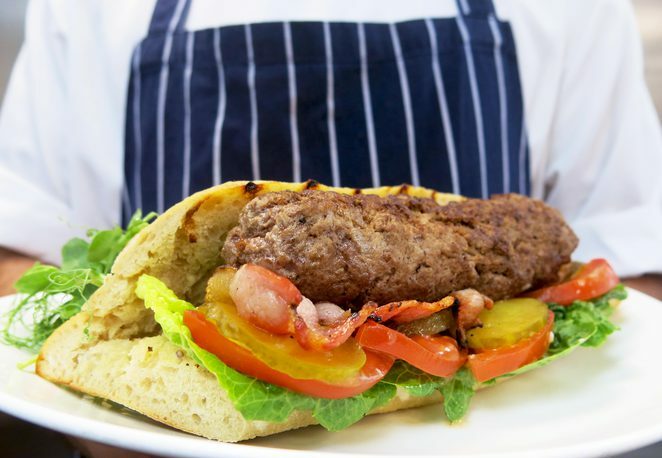 The Burdog combines the two summer BBQ favourites, with a Cotswold pork sausage encased in beef mince and covered in cheddar cheese, all served in a toasted ciabatta roll with a side of skin on fries. Priced at £16.50, this hefty hot dog comes with a bottle of local-favourite Portobello beer. The dish is available until 30th July 2017. 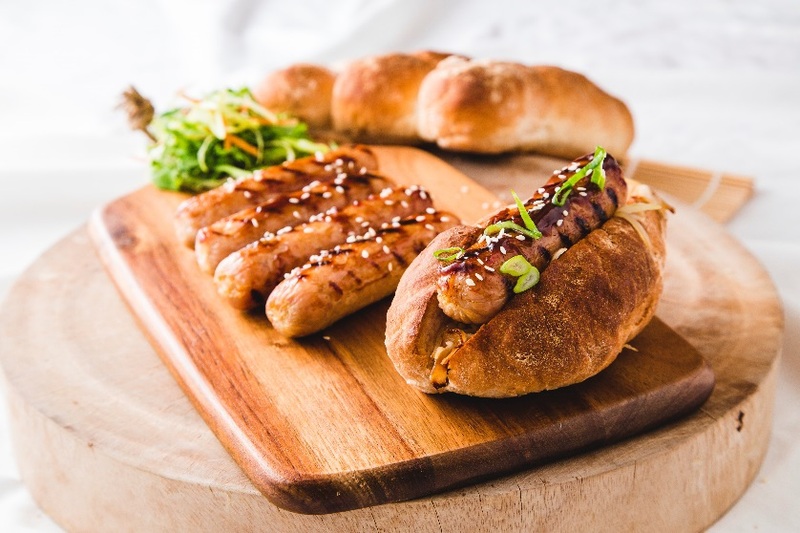 Wing Yip, the UK's largest Oriental grocer, have shared their recipe to add an Oriental twist to your standard hot dogs. Though we're used to the flavour of Hoi Sin with duck, the sweet and salty taste of the sauce also marries well with sausages, especially when they are smokily chargrilled from the BBQ. All of the ingredients are available online in the Wing Yip store. 1. If the sausages are linked together separate first, then place them in a bowl with the hoi sin sauce and ensure that the sausages are evenly coated. 2. Place a grill pan or frying pan on a medium heat and then add the oil to the pan. When the oil is hot add the sausages to the pan and turn every 1-2 minutes to ensure that the sausages are an even colour on all sides. A barbecue can be used as an alternative to the hob, weather permitting. 3. When cooked through serve with the sesame seeds and spring onions as a garnish.